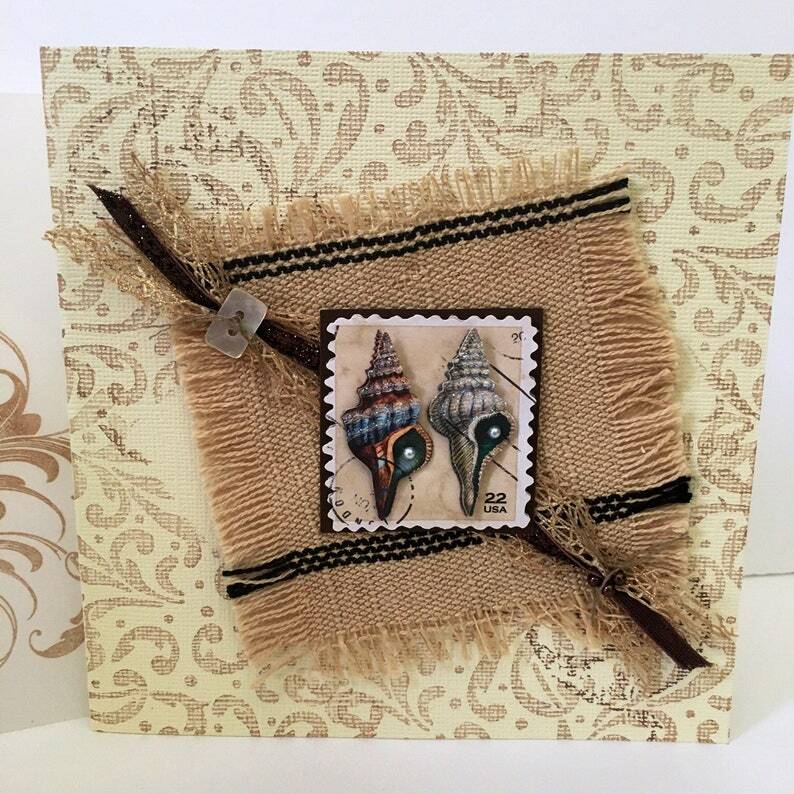 Sea Shell Handmade Card in hues of cream and brown. Mixed media elements of vellum, paper, beads, fabric, and shell button rounded out with coordinating threads. Handmade vellum envelope hand stamped with a scroll flourish rubber stamp. If you intend to mail this, it would be best shipped inside another envelope. Let me know if I should include one.